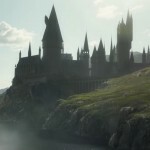 Have you tried to use words from the Potterverse when playing Scrabble with your friends and family and had them reject words for spells and magical creatures with an exasperated “That’s not in the dictionary!”? 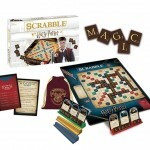 Well, revenge will be sweeter than a treacle tart when Scrabble: World of Harry Potter is released this spring. Retailing for $30, this version of the popular word game will allow you to use any word from the Potterverse, including proper names of people (although you won’t have enough tiles to spell Xenophilius) and places (Grimmauld will also be tricky. Hmmmm, maybe change the rules to play with a few more tiles than the standard 7?). 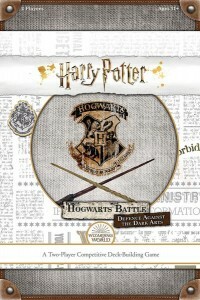 There will also be Potter-themed cards with creative ways to add points to your score. 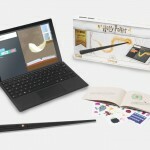 This isn’t the first Potter-themed game from USAopoly, nor will it be the last. 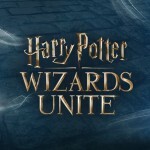 In addition to the prevously-released Harry Potter version of Trivial Pursuit, as well as Codenames: Harry Potter, CLUE Harry Potter, Harry Potter Hogwarts Battle, and Munchkin Harry Potter, a new Harry Potter Defence Against the Dark Arts two-player competitive, deck-building game, where you can use your offensive and defensive magical skills to stun your opponent, is coming this summer. We will have more information on this new game closer to its release date. 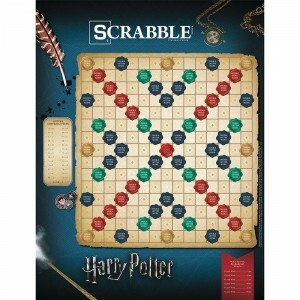 In the meantime, invite your Potter-obsessed friends over for a game of Scrabble where “Muggle”, “whizzbee”, and “Accio” are all perfectly acceptable.